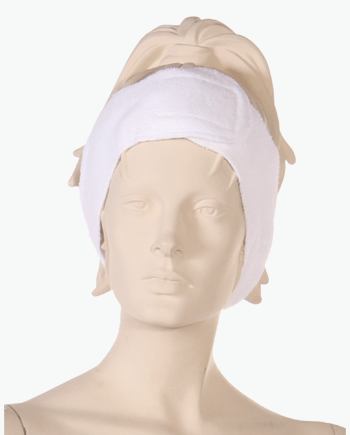 Spa Headbands have been the go-to headband for estheticians to use on their clients. 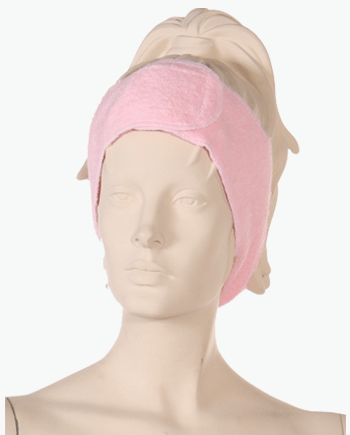 With the secure snug fit of the stretch terry headband, it can be used for many different techniques. 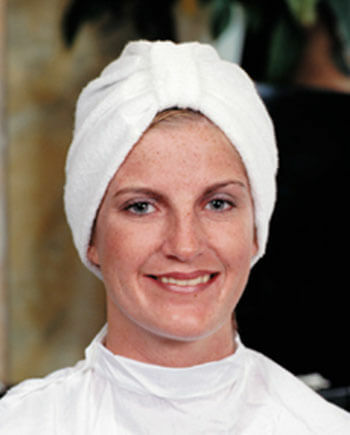 If you own a professional spa then shopping on Salonwear.com and choosing the headbands will be the right choice. 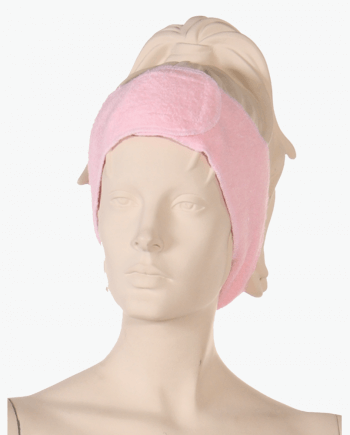 Customers find it very comfortable is great for all head sizes with the amazing stretch 75% cotton and 25% polyester fabric this headband provides. It is long lasting and machine washable. The shape will always remain as well as the stretch. The headbands from Salonwear can be used at home as well. For instance when washing the face, applying makeup or facial masks. White Hair Wrap Twist product is one size fit fabricated from stretchable knit Terry fabric with button and elastic strap to provide great security, it keeps long and short hair in place. The fabric is a blend of 75% Cotton and 25% Polyester. 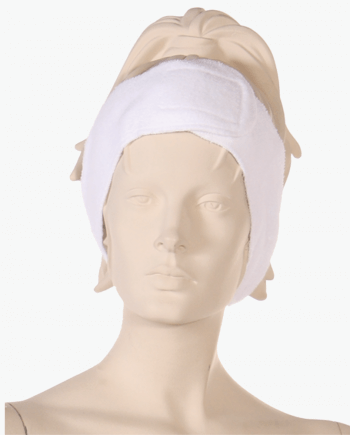 White and cream Terry Headbands are designed to keep hair away from the face, having velcro for adjustable self-gripping fasteners and is fully machine washable. The size can be adjusted. 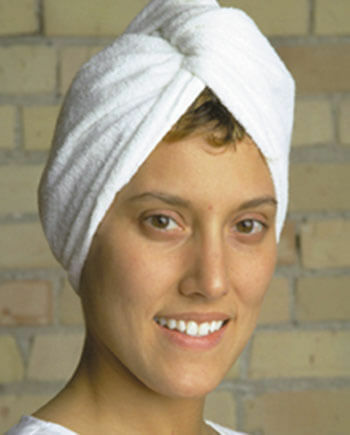 Turban has the feature of one size fit to all made from stretchable knit Stretch Terry, covering the head completely and comfortably. Fabricated with the mixture of 75% Cotton and 25%Polyester. Available in white. Personalized headbands for salon & spa is where Salonwear.com stands out of thousands. Our custom salon & spa apparels are best in industry. Branding with your salon or spa’s logo and name over headbands is a phenomenal and creative thought leaving behind a confident impression of loyalty of your salon or spa. Visit the branding page for more info, where you will have Embroidery as a wonderful option for customization. Other than terry cloth headband Salonwear.com also offers barber aprons at competitive prices, hair cutting capes for kids, spa uniforms for spa therapists & spa specialists, terry cloth wrap for men and women, sleeveless vests with hairless pockets for barber, top quality grooming smocks for clients and many more.